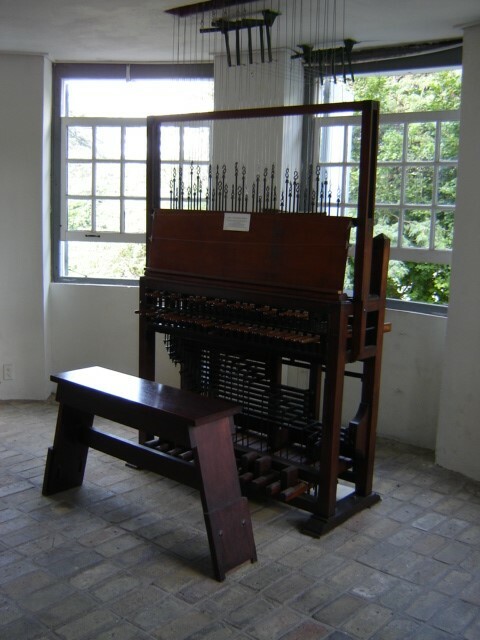 The carillon of the Curaçao Museum is named ‘The Four Royal Children’ after the four daughters of the then Queen Juliana of the Netherlands: Princesses Beatrix, Irene, Margriet and Marijke (also called Christina). 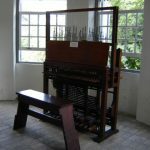 It is the only carillon in the Caribbean. 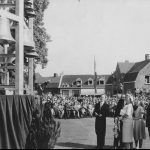 The bells of the carillon were cast by the Dutch firm Eijsbouts-Lips in Asten, the Netherlands, and it was first played in Asten on 16 June 1951 by Rotterdam city carillonneur Ferdinand Timmermans. 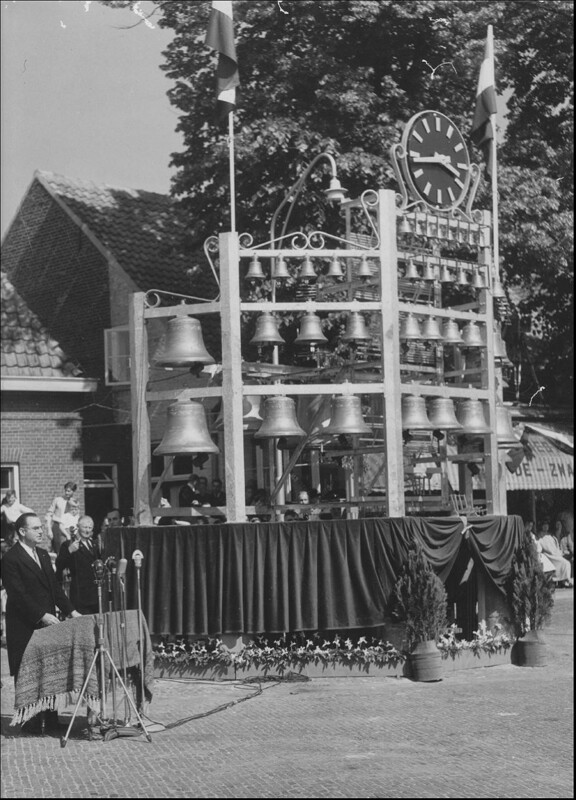 On Sunday 15 July 1951 the carillon arrived in Curaçao on board of the Norwegian tanker the Belinde. It was inaugurated on 12 August by Leen ‘t Hart. 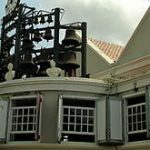 The bells were installed on the roof of the Curaçao Museum in a steel framework. The keyboard was place directly under the bells. 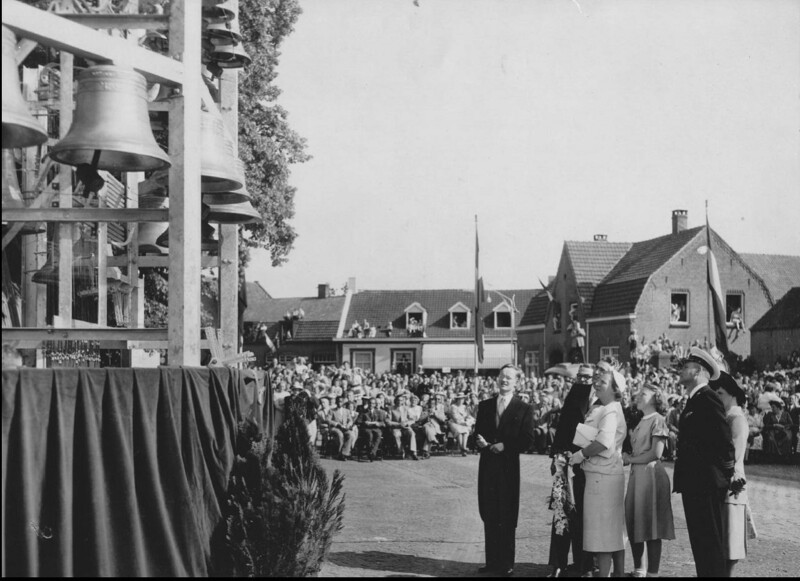 The names of the four daughters of Queen Juliana are inscribed in the four largest bells. 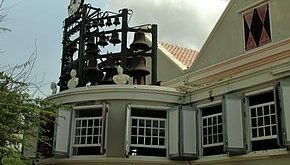 The other bells have inscriptions with the names of persons who have made a significant societal contribution to Curaçao. A number of them have been dedicated to persons who fell in the Second World War: Charles Debrot, who was killed by German paratroopers; Boy Ecury, a member of the Dutch underground who was captured by the Gestapo; Jan Haayen, who died at the Java Sea during actions against Japan; George Maduro, who died in a German concentration camp and after whom the miniature city Madurodam is named. 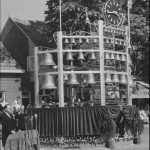 Three of the carillon bells were named after three Dutch ships that sank during the Second World War; the Leticia, the Lucrecia and the Rosalia. The bell God aan Zee (‘God at Sea’) commemorates the sailors that died at sea during the war.